June 6, 2010 - Alexandria, VA -- Leading international wildlife experts, airport operations professionals, regulators, and other aviation industry representatives will gather June 21-24 in Salt Lake City at the 12th Annual Joint Meeting of the Bird Strike Committee USA/Canada to discuss the latest advances in keeping birds away from aircraft. The meeting, produced by Bird Strike Committee USA/Canada and the American Association of Airport Executives (AAAE) and hosted by Salt Lake City International Airport, will gather some 300 industry experts to discuss wildlife management regulations, practices and challenges, as well as to review existing wildlife mitigation programs at several airports. The four-day meeting includes one day of hands-on wildlife mitigation training (limited to 150 participants) and three days of technical sessions and case studies designed to help share the latest techniques, data, and general information on bird strike mitigation. "Airport operators have a responsibility to ensure that all appropriate actions are taken to mitigate the potential for bird and wildlife strikes at their facilities," said John Ostrom, manager of Airside Operations at Minneapolis-St. Paul International Airport and chairman of Bird Strike Committee USA. "This meeting--and the training, education and information exchange it provides--is one of the ways Bird Strike Committee USA and Canada help airports meet this responsibility." 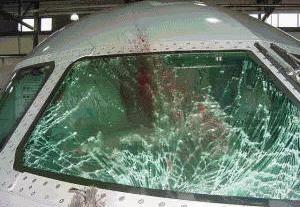 Bird strikes have been a major concern in aviation for decades. In 2009, the U.S. civil aviation industry reported more than 9,000 wildlife strikes--most of them involving birds. Strikes cost the U.S. civil aviation industry an estimated $600 million per year in damaged aircraft, irregular operations and other consequences. The problem impacts the military as well: in 2008, U.S. Air Force aircraft were involved in more than 5,000 wildlife strikes. The annual bird strike conference is designed to share the latest information, best practices and training to help airports and operators mitigate the risks posed by the combination of aircraft and birds. Delegates will hear from experts representing all stakeholders, including wildlife biologists, airport operations executives, pilots, regulators, and suppliers of tools and systems designed to mitigate wildlife strike risks. * A U.K. government official will discuss off-airfield bird hazard management at U.K. aerodromes. The meeting also includes an exhibit hall area, where more than a dozen leading suppliers of wildlife mitigation equipment and systems will be on hand to discuss their products and services. The event also will feature the results of a poster contest in which entrants are asked to submit works with the theme, "airport wildlife management and safety." The winning posters will be reproduced and distributed throughout the industry by Bird Strike Committee USA as part of wildlife mitigation education efforts. Birdstrike 2010 is a must-attend event for military and civilian personnel responsible for airfield operations, wildlife and wetland resource managers, land-use planners, FAA inspectors, university researchers, engineers, pilots, aviation representatives, waste management operators and anyone interested in mitigating bird strikes. Formed in 1991, Bird Strike Committee USA is an independent, non-profit organization dedicated to providing leadership to the aviation wildlife hazard management community. Our focus is the exchange of information, training and education, and the promotion of research and development to help reduce the threat of wildlife hazards to aircraft operations.